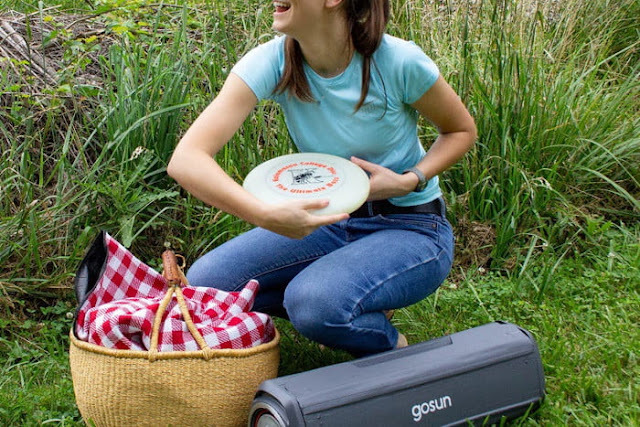 GoSun is no stranger to solar cookers, but this year, they’ve unveiled a new model, called Fusion, which integrates an electric heating element. 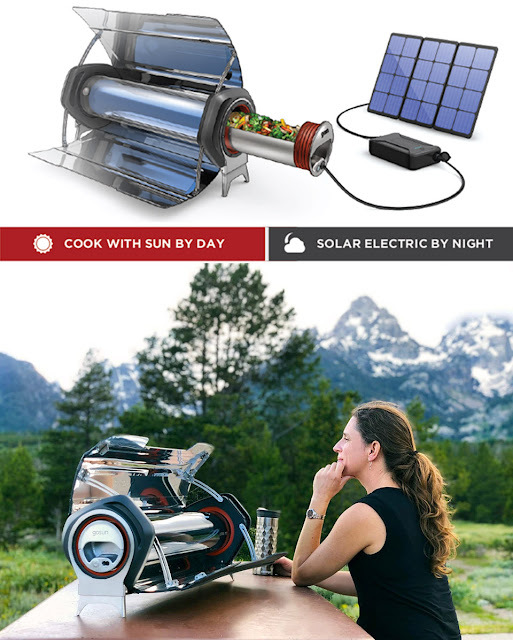 It keeps the familiar cylindrical cooking chamber that draws heat from two parabolic reflectors which capture heat from the sun and adds a 150-watt electric heater. Fusion can be powered either using a car’s cigarette port, a lithium ion power bank or a solar panel charger for the battery pack. The Fusion’s cooking chamber can reach 550 degrees Fahrenheit under direct sunlight, and can cook a meal for five people in an hour. 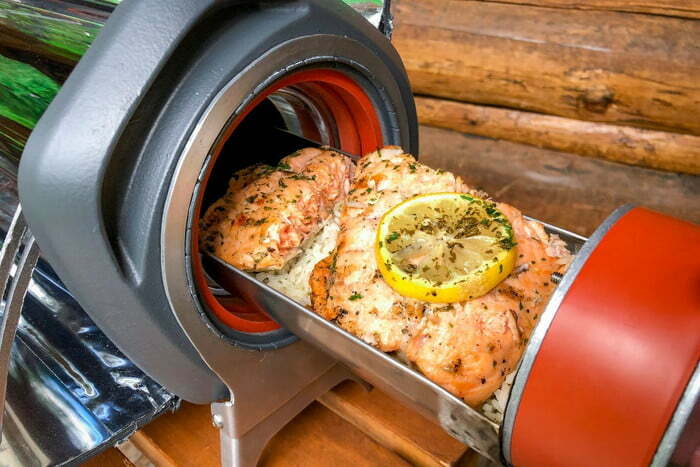 This item, along with a solar-powered cooler, will hit stores this summer, with the former priced at $400. 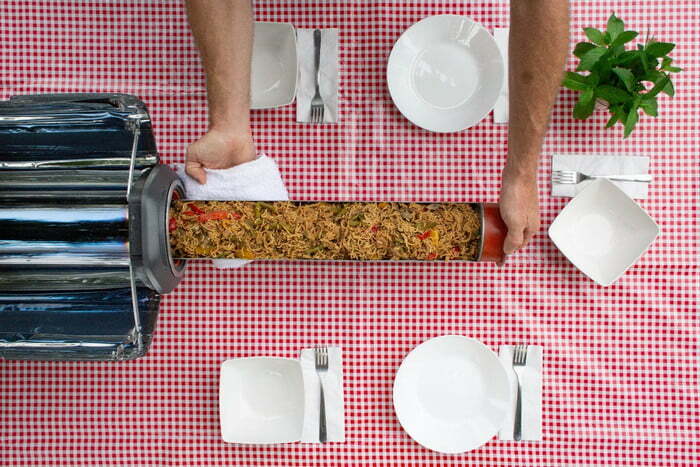 “The Fusion isn’t only good for people who are prepping for the apocalypse, but also those who want something different than a traditional grill for camping trips. 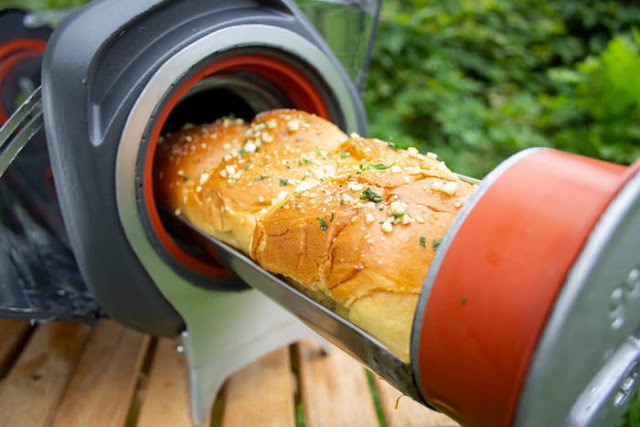 What’s more, there’s nothing keeping you from using it inside your home, in case you want to use it instead of your oven or pressure cooker,”.